Finnair and Helsinki Airport have created a movie to celebrate 35 years of connecting East and West via the Finnish capital. The short film East and West Side Story, made by the airline and the airport, is the first of its kind – and speaks of meaningful encounters that take place when people travel. East and West Side Story follows a famous writer in need of personal privacy, while the whole world wants to have her in the limelight. The story plays on three continents, spacing from the US to Korea and ending in Finland. As the film’s title East and West Side Story suggests, the film has two directors – Young-Wok Paik aka ‘Wookie’ comes from Korea and Johan Storm from Sweden. The two directors both give their point of view on the same story, produced by B-Reel Films (Bergman: a Year in Life). The leading roles are played by Anne Bergstedt (Boardwalk Empire, Black Swan) and Jae Hoon (One Day Maybe). East and West Side Story is an excellent example of modern companies using branded entertainment to tell more emotional stories and reach an even wider audience around the world. 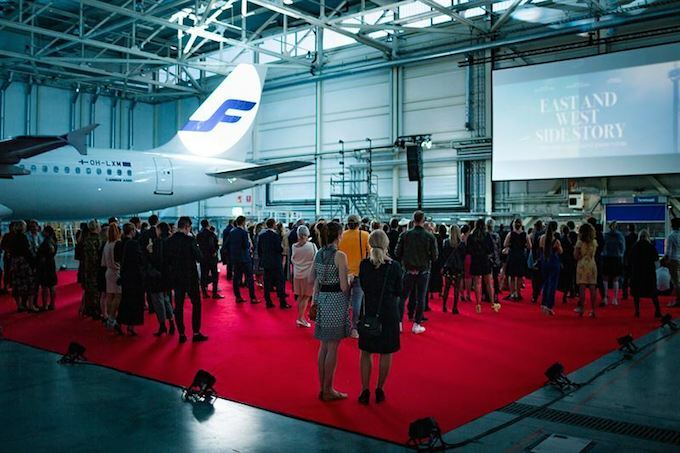 The short film premiered at a special event at Helsinki Airport, where an aircraft hangar was turned into a movie theatre for the night. Guests were hosted by established Hollywood filmmaker Renny Harlin, who is also one of the most sought-after directors in China. You can view the movie below, and to view the joint campaign site click here.